The VB-LevelAir system is a good option for vehicles that carry variable (heavy) loads and that have many different drivers. The VB-LevelAir system automatically adjusts the height and the minimum and maximum pressure in the air springs whenever the load is changed. VB-LevelAir is an auxiliary air suspension system with automatic level control. The system provides for greater ease of use: there is no need for the driver to worry about operating the system while out making deliveries. This prevents incorrect or improper use. VB-LevelAir ensures the vehicle is always at the correct ride height and that the system is at the right pressure. The rear of the vehicle leans less when loaded, which improves stability and driveability, and so contributes to enhanced safety whenever you are driving. 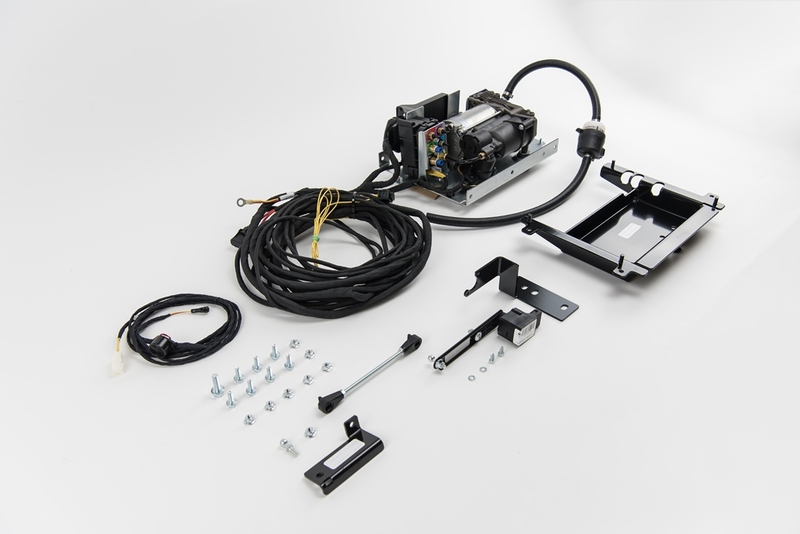 VB-LevelAir is available as a new kit or as an addition to your existing auxiliary air suspension system (VB-SemiAir). For more information about the available options, contact your VB-Partner.